As parts of Australia’s East Coast experience their driest months in living memory, local breweries, bars and bottleshops are finding ways to raise money and awareness of the plight faced by many local farmers. Beer is, after all, an agricultural product, and the link between the land and the beers we enjoy is one that many in the local beer industry are increasingly looking to highlight. Corey Crooks, from Newcastle’s Grain Store, launched a Buy a Bale fundraiser in response to the worsening conditions farmers were facing. He says that, while farmers in his area are used to buying feed for their livestock, the cost of shipping both feed and water across the country has been leading to dire consequences for those in his local region. “It’s very easy for people to live in their bubble without meaning to,” Corey says. “Hopefully this makes them realise what’s going on. It was a fundraiser that was quick to catch on too; Corey was soon contacted by other Newcastle venues keen to see how they could work together to raise more money. The result is Good Karma for our Farmers, an event on August 26 that will see venues across the city offer food and drink deals with the money raised going directly to Buy a Bale. So far, the Grain Store, Happy Wombat, FogHorn Brewhouse, The Falcon Restaurant, Bar Petite, MoneyPenny, Coal & Cedar, Reserve and The Koutetsu all taking part. At the time of writing, the list was still growing. Since Corey's campaign launched a few weeks ago, the situation for many farmers has only continued to decline. On Wednesday, the New South Wales Department of Primarily Industry announced 100 percent of the state to be in some form of drought. As supplies of hay have dwindled, the price of bales has continued to rise and some farmers have been forced to ship supplies from further afield. In total, the Australian government has provided $576 million for farmers affected by drought, while the New South Wales government has created support measures worth more than $1 billion. 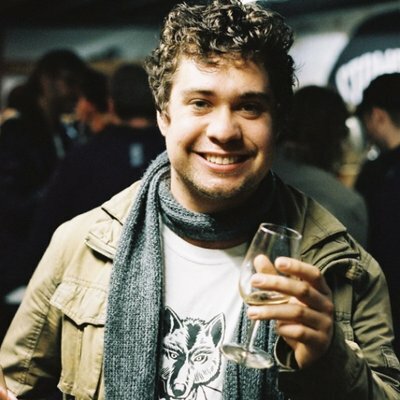 Corey (pictured below) says that the success of the Grain Store, which sources ingredients for its food offerings as locally as possible, is inherently linked to the farmers near him. “If things haven’t improved in a year’s time, how do we do what we do?" Corey says. "You almost can’t and that’s the point people don’t always focus on. 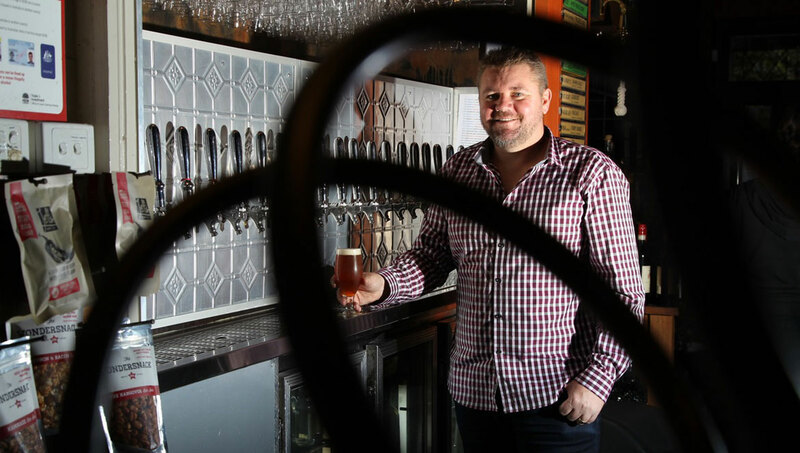 In the Adelaide Hills, the connection between agriculture and beer has been put at the centre of one brewery's No Grain. No Food. No Beer. campaign. 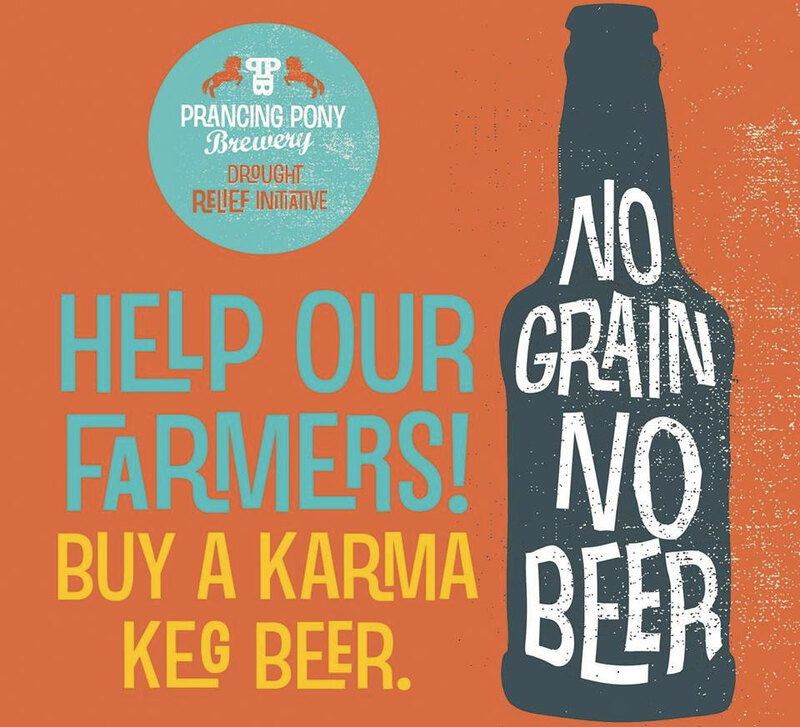 Prancing Pony has donated 70 kegs of its Indie Kid Pilsner to more than 30 venues that will sell them as Karma Kegs, charging just $50 per keg to cover excise tax. The brewery expects the kegs will raise somewhere between $35,000 and $40,000 for the charity Drought Angels. Corinna Steeb, who runs the brewery with her partner Frank Samson, says they wanted the fundraiser to be spread beyond their brewery so it could bring wider attention to the issue. Though it's livestock farmers who are currently worst hit by the drought, Corinna says hardship can spread quickly to other parts of the country and other industries. 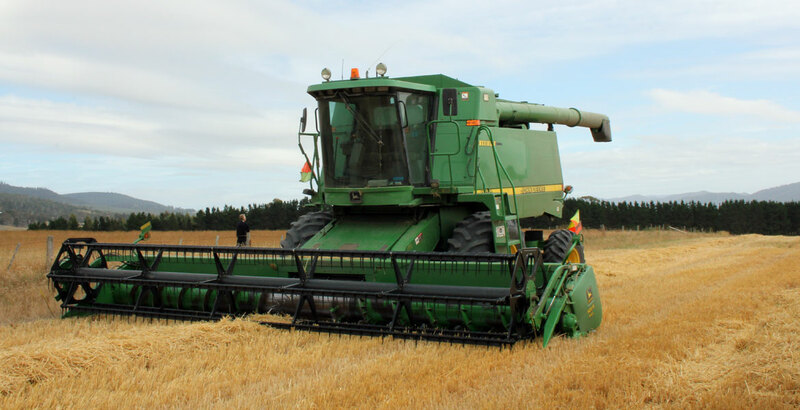 “We know in South Australia that the Eyre Peninsula and the York Peninsula – where our grain comes from – haven’t had the rain they need,” Corinna says. For Corinna, the fundraising campaigns popping up across the country, whether it’s Parma for a Farmer, the Clifton Hill Brewpub donating $1 from sales of Australian-owned beers bought from its bottleshop, or the venues that are selling Prancing Pony's Karma Kegs, are an indication of how well small businesses can push change. “The hospitality industry is very good at working together, working quickly and bringing things from the grassroots up,” she says. You can view the full list of venues involved with No Grain. No Food. No Beer. here. You can donate to the Grain Store's fundraiser here. Bendigo's Amanda Kinross launched the Parma for a Farmer campaign last week with a Facebook post. The concept has been taken up by an ever growing list of venues, including those run by one of Australia’s largest hospitality groups, the Australian Venue Co, which counts the Beer DeLuxe venues among its number. Buy Australian-owned beer from the Clifton Hill Brewpub bottleshop and you'll be supporting Buy a Bale, with some breweries offering further donations from sales. Head into either Hemingway's Brewery in either Port Douglas or Cairns Wharf at any point until August 24, buy a schooner of beer from the designated Karma Keg and $2 will go to support Australian farmers. If you’re a beer business involved in a campaign to support farmers, get in touch with us and we’ll add you to the above list.